Bikes are becoming a trend, fashion or a great way to commute daily to work or to college especially for students and dynamic leaders. 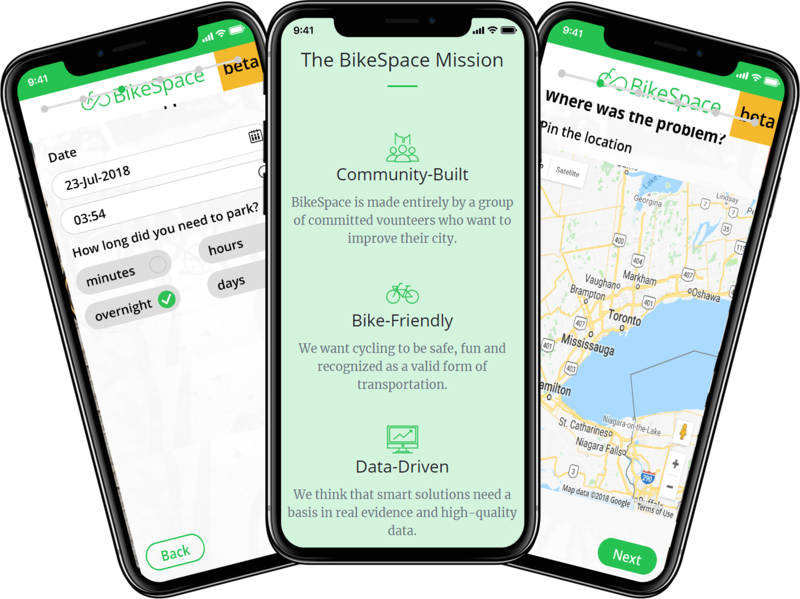 BikeSpace is a Toronto based bike parking app solution developed and maintained by volunteers who provide input and verification of data. The tool has a very lucid 5 step process, using which anyone can anonymously upload the information of a parking spot which is not in the right shape, state or capacity. Then, this data gets verified by the BikeShare volunteers who eventually put the data on the map and finally it is available for everyone to see – the riders, the app developers and the administration. The biggest advantage of BikeSpace is that it highlights the places which require maintenance or expansion. This way, any parking space which is not marked bad on BikeSpace is reliable for a rider to go to. If it’s not, the rider can contribute to the community’s data. In addition to the community driven initiative, the app also ensures complete anonymity and does not store any private data of the users placing complaints about parking spots. The app can help become an eBay for used bikes: Since it is a really engaging and trustworthy community of volunteers, the app can turn to an eBay for bikes and other biking accessories.With small commission from these trades, BikeSpace can actually remain operational or even help the wrecked parking spots get repaired. Advertising: A more common way would be to leverage all the engagement by placing ads. The ads would be highly relevant for brand partnerships with bicycle manufacturers, spare part traders, bike repair shops and other places relevant to the bike riding market. Brand Partnerships: The community leaders can partner with brands such as BikeSpace (bike sharing apps). A point based reward system can be created, which can later be redeemed on the bike sharing platform. Although the existing model has none of the above mentioned characteristics since depends on a community driven model, the same community can help BikeSpace become a more self-reliant service which helps in not only spotting bike spaces with issues, but also help in servicing them. 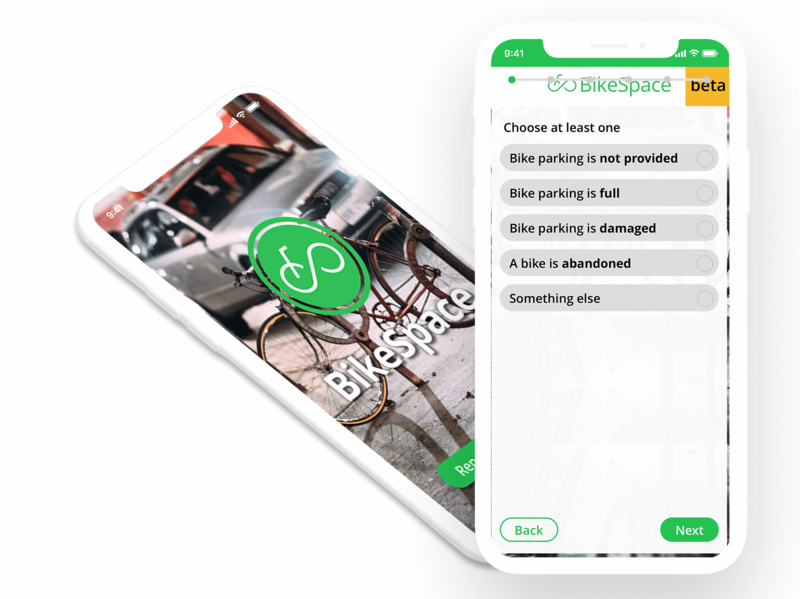 Looking to develop your own bike parking app like BikeSpace? We can help you develop a technological solution just like the BikeSpace app. Our extensive experience can help you develop a product ready to launch in no time. A quick launch in your city will help you build an active community around it and position it as per your choice – profit or a non-profit initiative. The cost of developing a bike parking app like BikeSpace will be in the range of $5000 to $8000. Let’s have a look at the detailed breakdown of the costs. We can develop analytical tools which will provide insights using user data for your bike parking application. Predictive analysis will help business owners identify the usage patterns considering factors like time and locations and helps in deriving predictive analysis for the next usage by a specific person or group. For brand partnerships, more sophisticated data provision helps as you can project the route of a user with greater accuracy thereby empowering your partners to target geography specific ads. 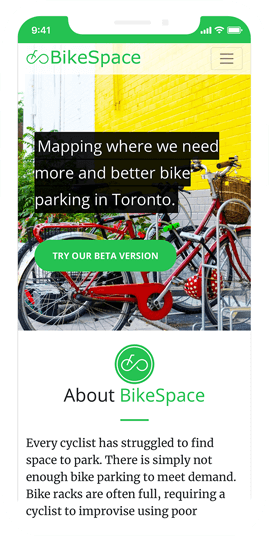 Why you should team up with us to develop a parking spot app like BikeSpace? Expertise in developing parking app solutions with rich portfolio. So, what are you waiting for? The biking culture in your city will be grateful for your work as we can help you make parking spaces better for bikers in your city. How is the payment structured for this project? We usually follow a Milestone based payment structure wherein, the first payment is upfront and every subsequent payment is linked with percentage of work completion and system readiness. How much would it cost to engage Let’s Nurture team for annual maintenance after system is live? What are the other ongoing costs that the app owner needs to be aware of? Bikespace pricing is based on the amount of time app user reserve the bike spot for. This can be customised to suit each use case,i.e, hourly, daily, weekly etc. What if in case of urgency app user needs to cancel the reservation? Cancellation upto 4 hours before the booking time is free. What happens when duration of parking exceeds actual booking duration? If the spot is already booked for someone else, then customer support will ask to shift user bike to the nearest available spot and will charge for the duration user has booked the spot. Else you will be charged for the current spot. Have an !dea to develop an bike parking spot app like bikespace?